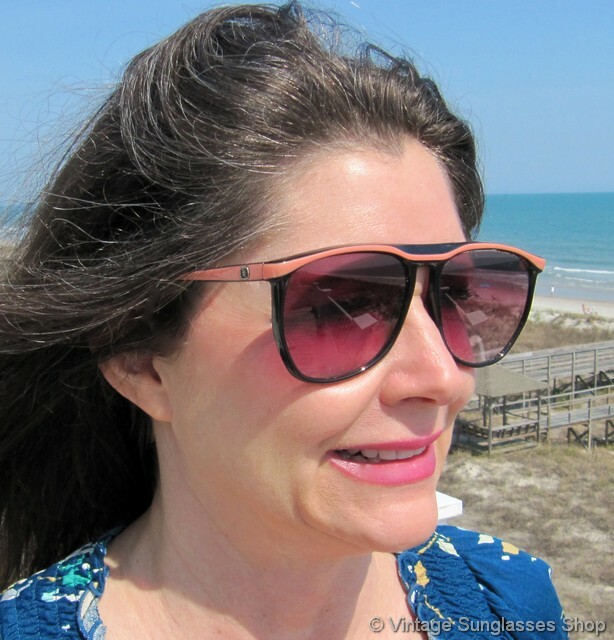 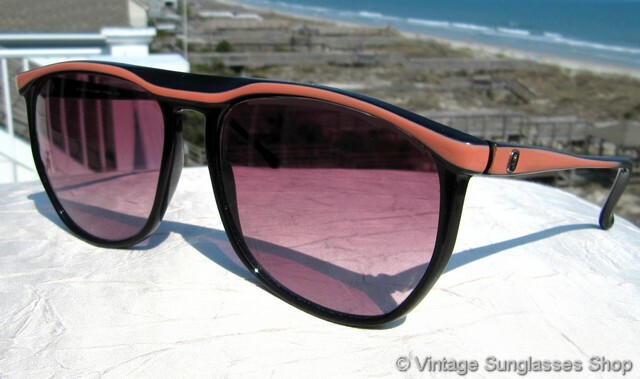 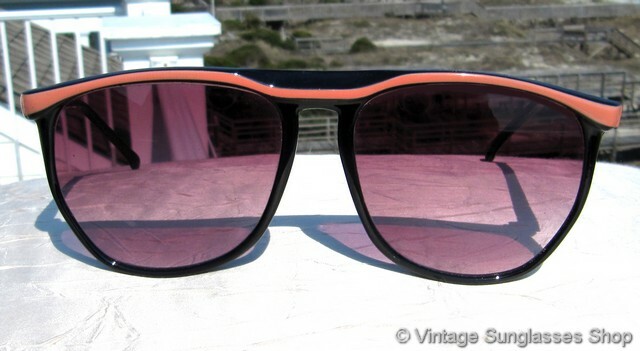 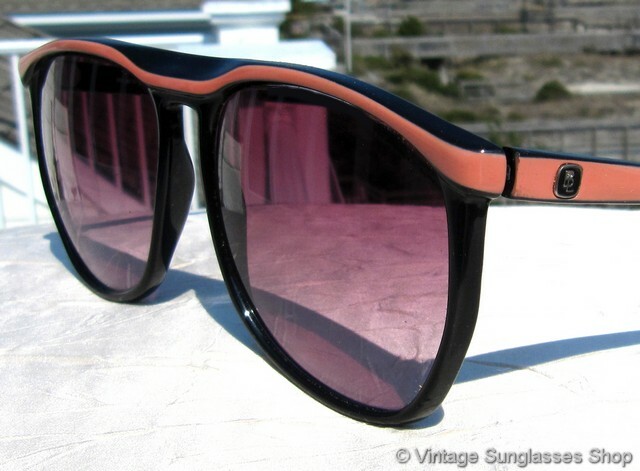 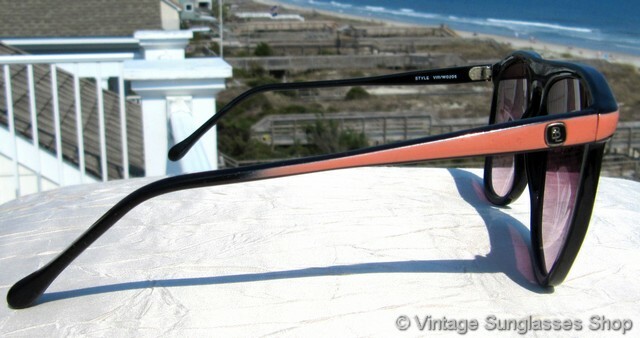 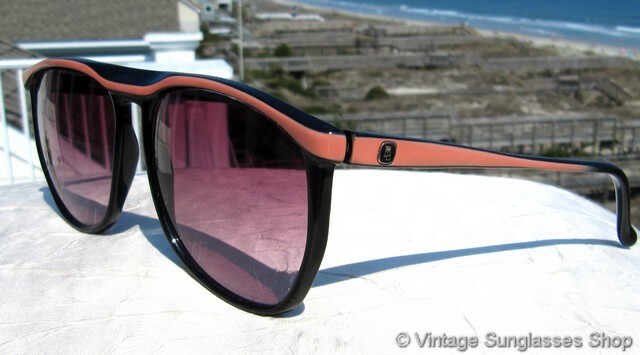 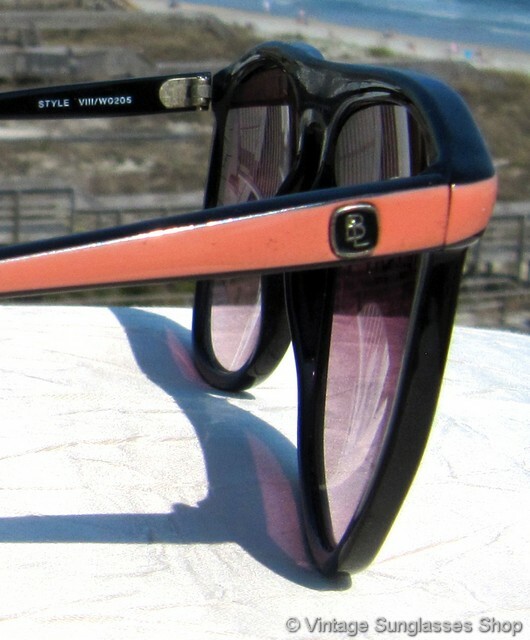 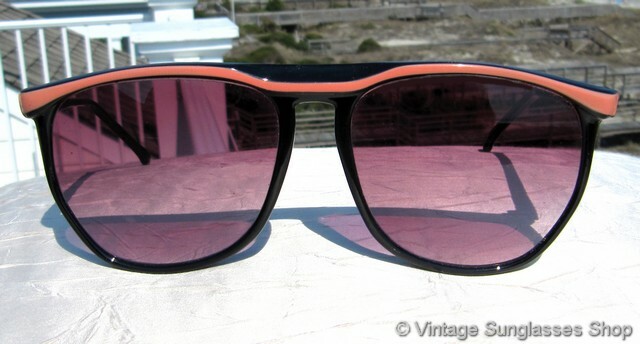 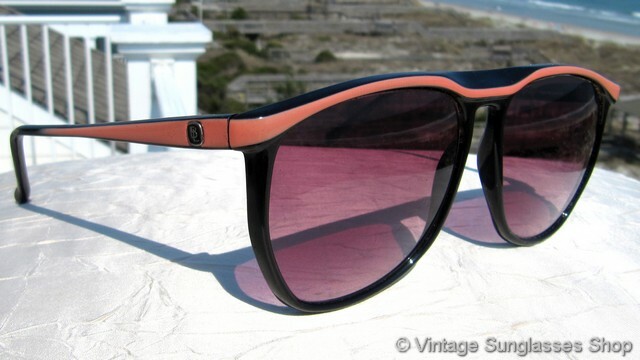 Vintage Bausch & Lomb W0205 Style VIII Expressions sunglasses feature a black ebony lower frame and a hot shade of orange - pink upper accent stripe and B&L gray gradient lenses. 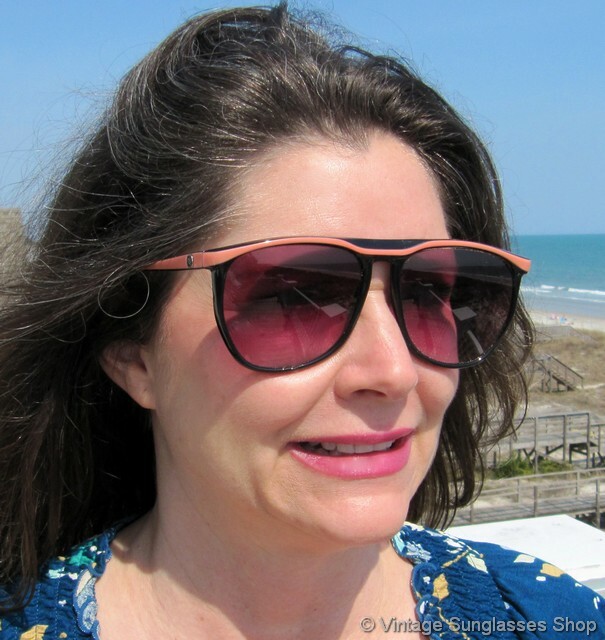 Aside from the obvious fashion attraction of the B&L W0205, you'll love the gray gradient lenses that give you the flexibility to look downward without a color tint to aid in reading dials and LEDs when driving, for example. 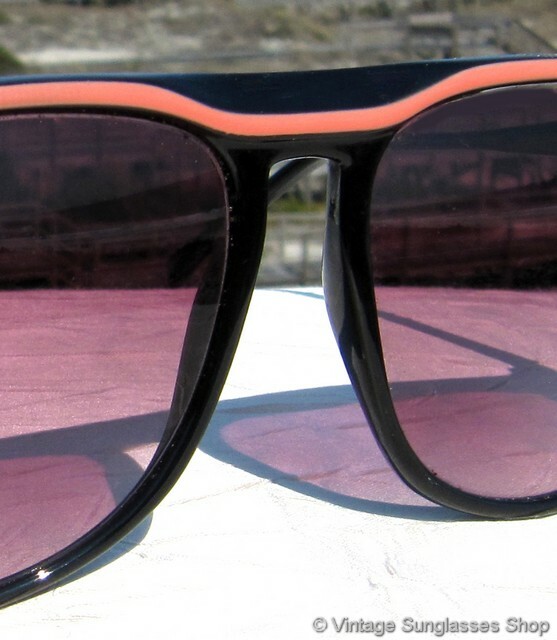 The unique color shade of the top accent bar is really eye catching, and it contrasts perfectly with the black ebony lower frame. 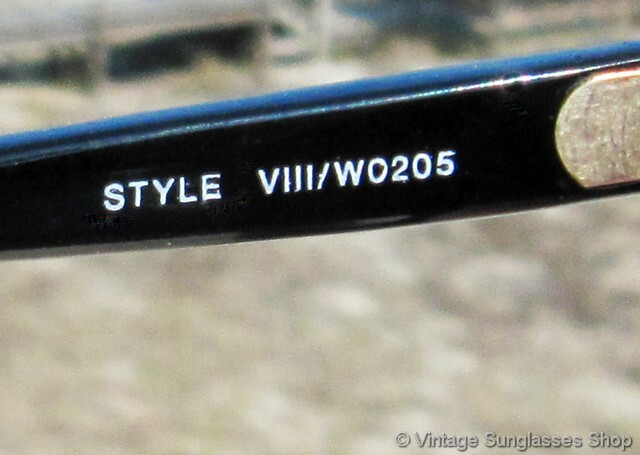 The B&L W0205 Style VIII frame measures approximately 5.5" temple to temple, and the lenses measure approximately 2.25" x 1.875" at the widest points. 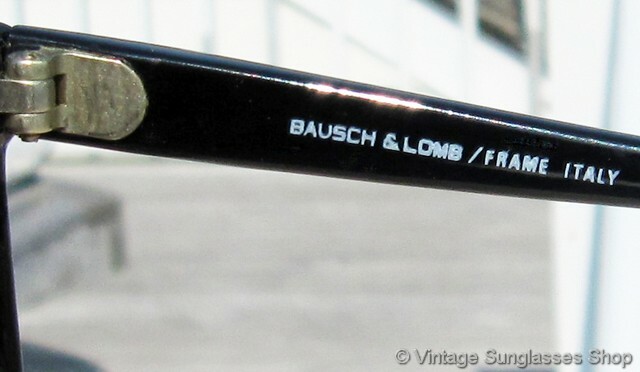 You'll find the B&L Bausch & Lomb logo on a raised metal insert on the exterior of both ear stems, and the inside of one stem is marked Bausch & Lomb / Frame Italy while the inside of the other stem is marked Style VIII / W0205. 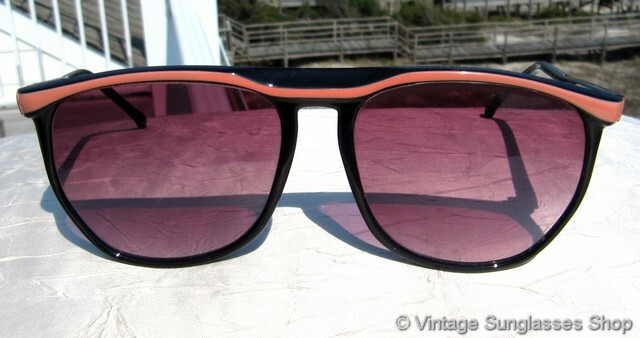 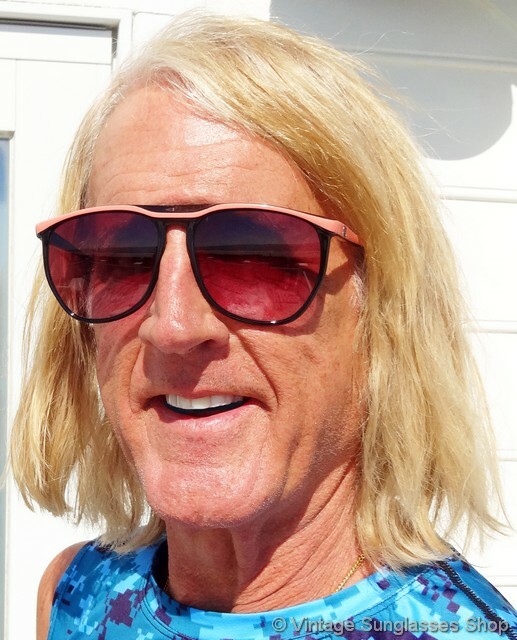 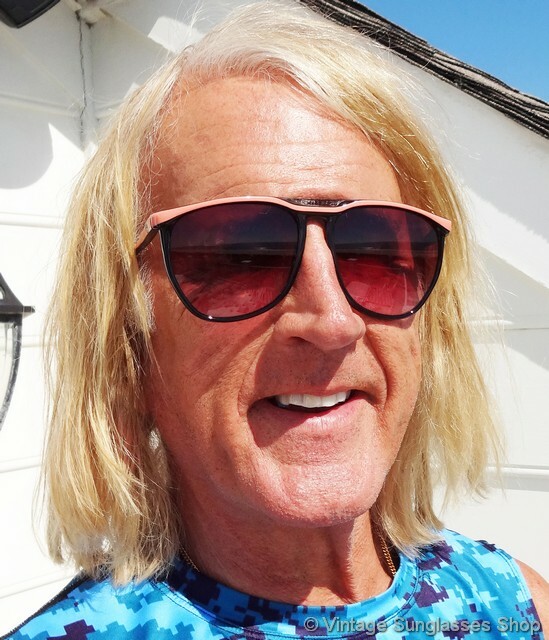 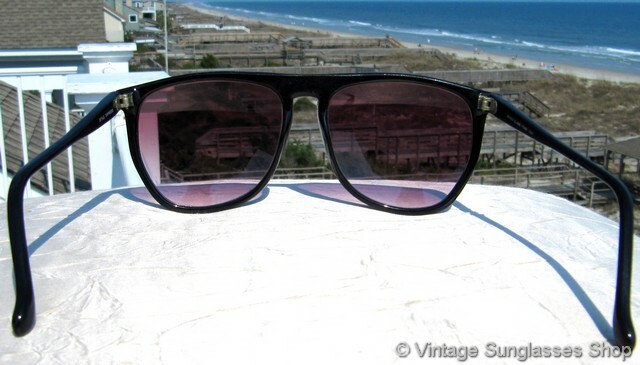 These are new old stock B&L Expressions W0205 sunglasses in mint, unworn condition, part of a large collection of vintage Ray-Bans in Dallas, TX and priced to sell fast!